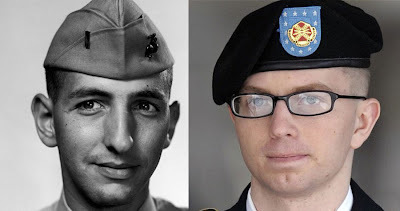 Daniel Ellsberg argues that Bradley Manning is a classic whistleblower, and deserves not life in prison but the Nobel Peace Prize. There is a connection between Wikileaks and functional programming that you may not be aware of. Back in the mid-90s, there was a collaborative project to translate an O'Reilly book on OCaml from French to English. Besides myself, one of the volunteers was Julian Assange. Myself, I interacted with only a small number of people on the project, not including him.